This came together in a flash. A tweet about this cake, being out shopping with friends to cook for made this happen. 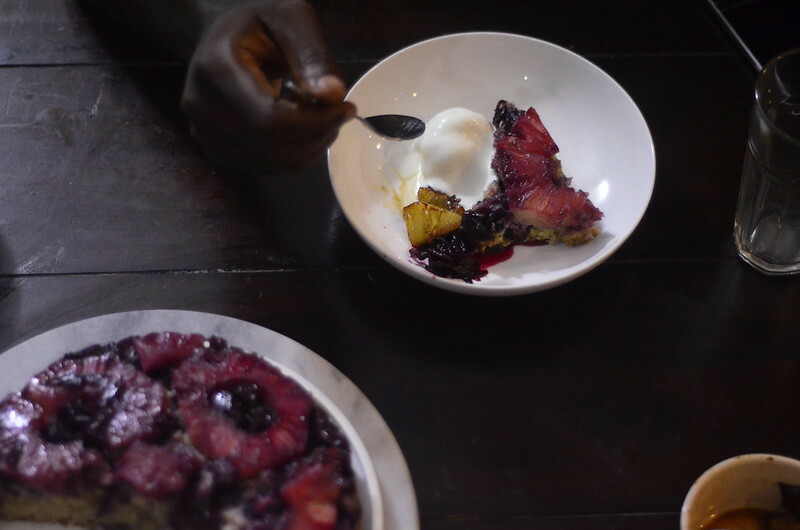 The instant I saw the blueberry-pineapple upside down cake, I said to myself ‘this would be perfect with zobo’. 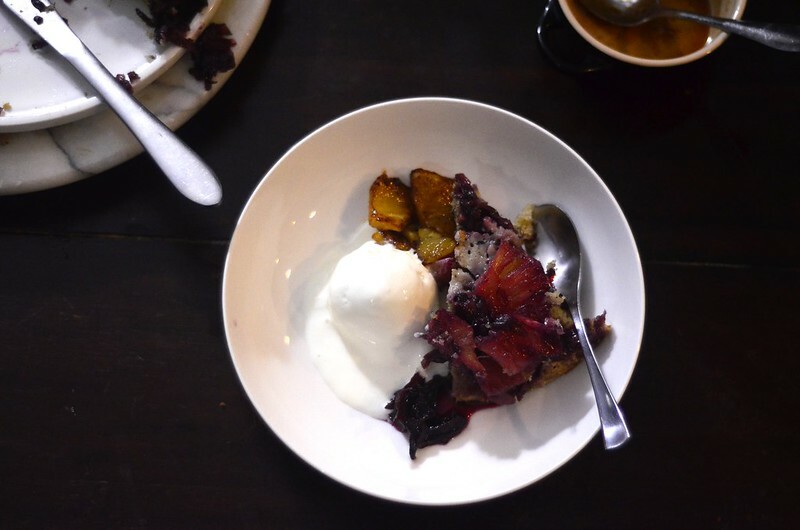 For a few months now, I’ve been poaching blueberries in sweetened zobo so I know they work beautifully together. Pineapple upside down was the first cake which wowwed me, followed by creme caramel and yes I realise that’s creme caramel is not a cake but don’t derail me, please. So, when I was a young’un, maybe 10, my mum’s friend made some for us. I still remember the wonder of the toffee-coloured pineapples, caramelised and crowning soft, sweet cake when turned ‘upside down’. I fell in love. So this cake. Because I had a jar of candied zobo flowers, as per 6 Things to do with Zobo Flowers.. All I needed was pineapple and thankfully, I found some – the last one in the store. 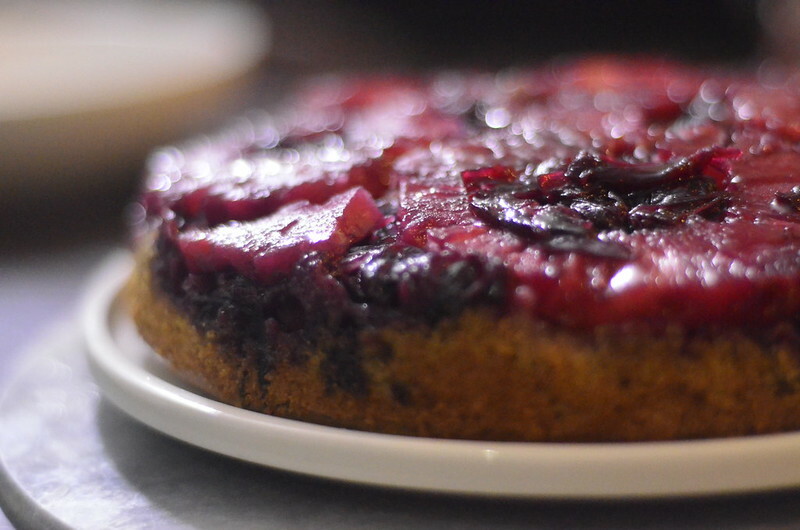 While we ate dinner, this quick and easy cake baked up in no time. when it emerged, I was a bit disappointed in the colour – I expected a richer, deeper burgundy. The important thing I guess is how beautifully it baked up. And how yummy it was. Soft, sweet, with fruity flavour, perfect with ice cream. Inspired by Dinner at the zoo's blueberry version, I whipped this up in no time. Preheat the oven to 180 degrees centigrade ( about 350 degrees Fahrenheit) and butter a shallow tart tin (26 cm or slightly larger). For the Zobo-Pineapple: Lay pineapple slices at the base of the pan and arrange the blueberries and zobo flowers between the pineapple slices. I tried to fill all the spaces as much as I could to allow for shrinkage during cooking. 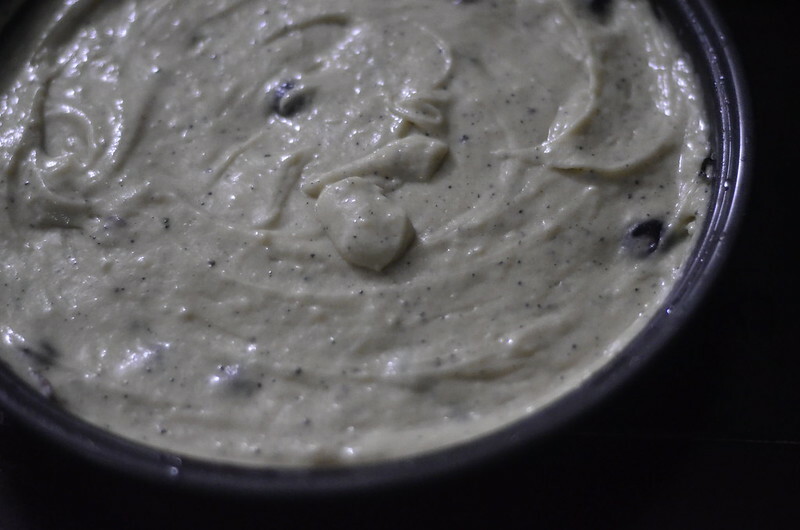 In a medium bowl, combine oil, cream or yogurt, mix together the flour, baking powder, baking soda, and salt. In a bowl, melt the butter in the microwave. Whisk in the sugars until thoroughly combined (it will be gritty). Whisk in the egg, yogurt, buttermilk, pineapple juice, and vanilla extract until combined. Slowly mix in dry ingredients until smooth. 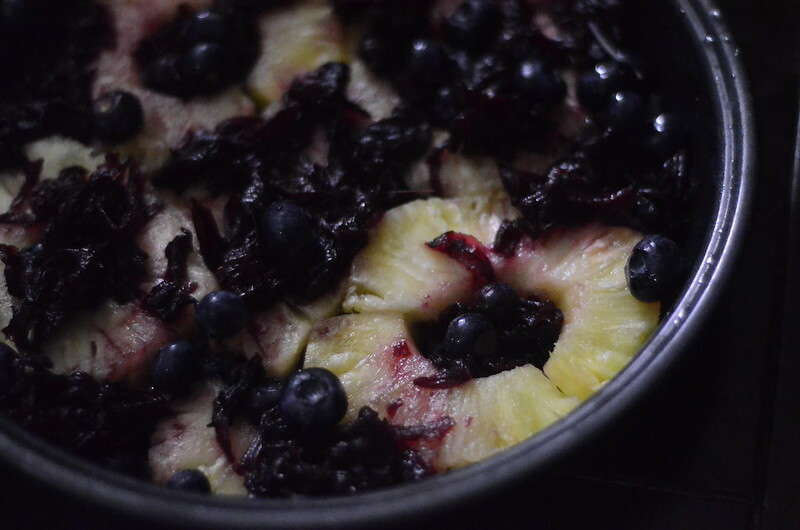 Spoon the batter into the pan on top of the pineapple and blueberries. The batter should not be overflowing from the pan. If you aren't using a 9x2 inch pan you'll have extra cake batter, which you can bake on the side in a greased loaf pan. Bake for 40-45 minutes. Check about 30 minutes into the bake time; if it looks like the top of the cake is getting too dark you can cover it with foil. Invert the cake and cool for another 20 minutes. 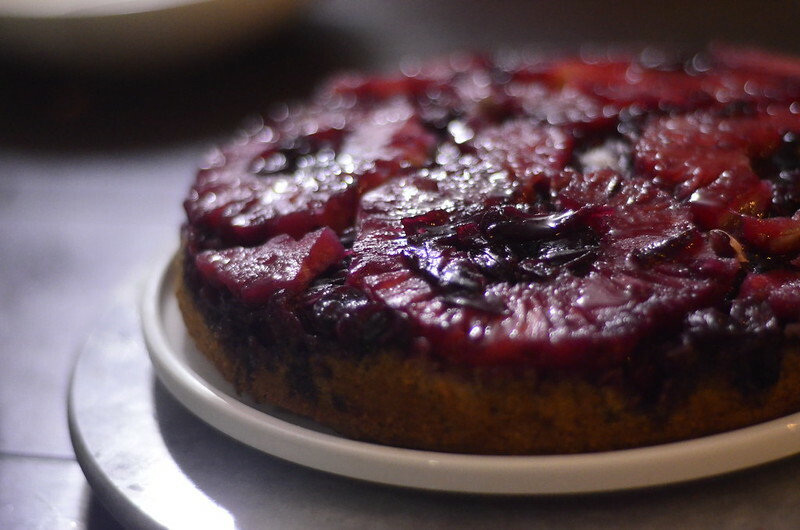 Serve, or if you're using the garnishes, make the cream cheese frosting while the cake cools. To make the frosting, place the butter and cream cheese in a bowl; beat with a mixer for 3 minutes or until thoroughly combined. Add the sugar, vanilla, salt and milk and beat for an additional 3-5 minutes on high until frosting is light and fluffy. 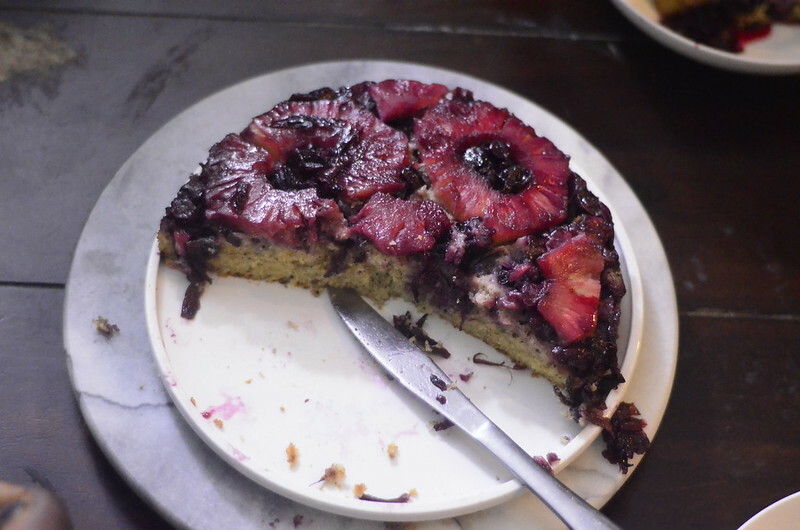 Place the cream cheese frosting in the center of the cake and top with blueberries and sauteed pineapple pieces. Serve.